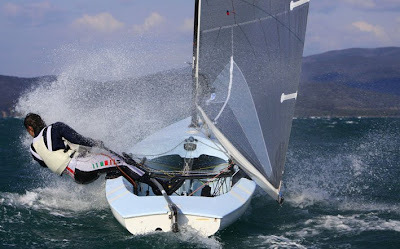 Over last weekend the Italian Finn fleet met in Punta Ala, Tuscany for the opening event of its Coppa Italia 2009 series. 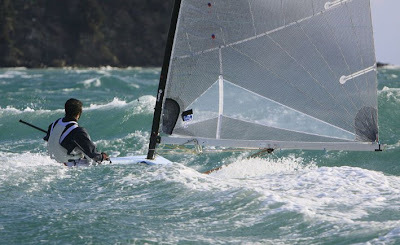 This venue is just a few km south of Scarlino, where the class sailed its European Championships last year. 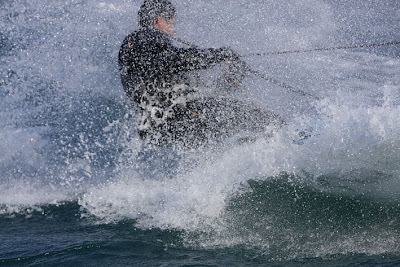 Punta Ala is also bidding to host the Finn World Masters in 2011.However on the Saturday, racing was abandoned because the northerly wind was too strong at 30-35 knots. But that's just perfect for Finn sailing so some of the younger sailors went out for a blast. 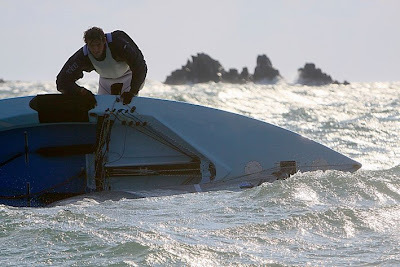 Pictured here are Italy's 2008 Olympic Finn representative Giorgio Poggi, along with Marko Kolic, Riccardo Cordovani and Filippo Baldassari, sailing the Finn the way it was meant to be sailed. They were escorted by a RIB and a photographer and this is the result. Thanks to Tosca Zambra (http://www.fotozambra.it/) for the excellent photos.